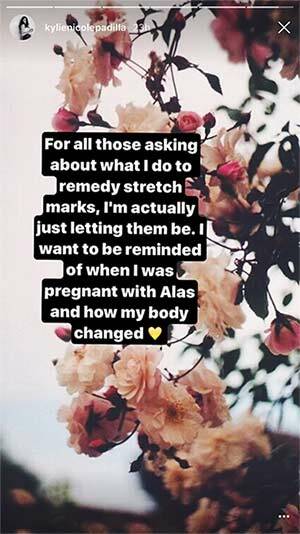 At least half of women who go through a pregnancy get stretch marks. Not only are those tiger stripes normal, they're incredibly beautiful. And new mom Kylie Padilla knows this. The Internet praised her for not hiding her stretch marks. Instagram user althearhea commented, "Love that you flaunt your body that way and proud of your tiger prints. Those are reminder of our sacrifice as mother.. congratulations Kylie and Aljur.."